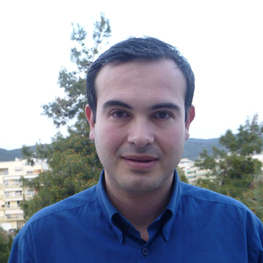 Dr. Antonios Gkoutzioulis completed his specilization in the 1st Obstetrics and Gynaecology Clinic of Aristotle University in Thessaloniki, Greece, which is accredited by EBCOG, in 2009. In 2010 completed his PhD in the same University. From 2009 – 2010 was a clinical and research fellow in the Royal Free hospital in London, UK, for minimaly invasive gynecologic surgery and fetal medicine, under Mr Magos and Mr Econimides respectively. From 2011 – 2012 was a guest doctor in the University Obstetrics and Gynaecology Clinic of Tuebingen, Germany. Currently is working as an Obstetrician and Gynaecologist in Thessaloniki, and is also fellow in the 2nd Obstetrics and Gynecology Clinic of Aristotle University in Thessaloniki. He has a special interest in Cosmetic Vaginal Surgery and Aesthetic Medicine and has successfully completed the Master Course in Cosmetic Vaginal Surgery held in Athens, Greece in November 2014.